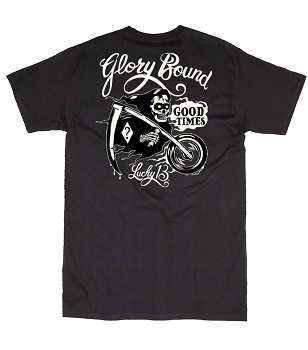 This black short sleeve mens tee features a white hot rod design. 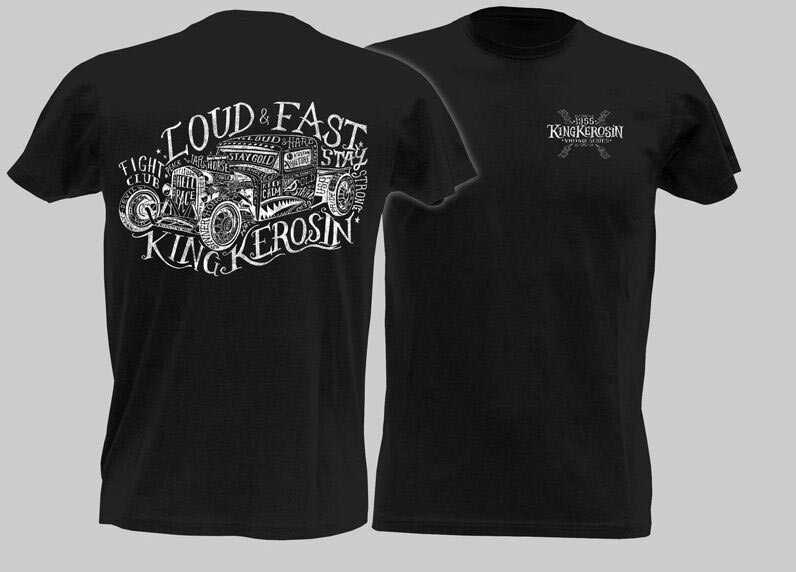 Scripts reads "Loud and Fast, King Kerosin" and King Kerosin logo on front. 100% Cotton.